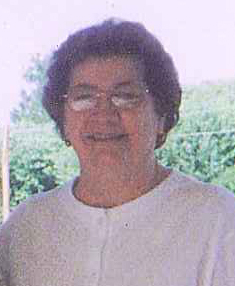 Remembering Barbara Love | Remembering Barbara Love | De Soto Obituary Search | Dietrich-Mothershead Funeral Home, Inc. Remembering Barbara Love | De Soto Obituary Search | Dietrich-Mothershead Funeral Home, Inc.
Barbara Jean “Dean” Love was born April 17, 1932 in Tiff, MO. She was the daughter of Raymond J. and Valerie M. “Tan” (nee Boyer) Govero. She passed on January 31, 2018 at deGreef Hospice House in St. Louis, MO at the age of 85 years. She is survived by her children, Karen (David) Rogers, De Soto, MO; Denise Love, De Soto, MO; and a daughter-in-law, Laura Love, De Soto, MO; siblings, Mary Joyce “Peggy” Young, De Soto, MO; Curtis “Bud” Govero, Tiff, MO; Clayton “Kay” (Patricia) Govero, Bonne Terre, MO; Richard (Thelma “Ray”) Govero, Tiff, MO; and Ronald Govero, Tiff, MO; sisters-in-law, Mary Govero, Tiff, MO; Phyllis “Jay” Govero, Tiff, MO; brothers-in-law, Billy Bourbon, Tiff, MO and Raymond Johnston, De Soto, MO; grandchildren, Michael (Stacey) Sloan, Toby (Shelly) Love, Shawna (Andy) Schutte, Justin Rogers, Julie Drury, Lindsey (Eddie Pruneau) Evans, Derrick Carlin, and Cody (Taylor Henderson) Carlin; twenty great-grandchildren; and numerous nieces and nephews. She was preceded in death by her parents; husband, Harlan Love; children, Gary and Larry Love; siblings, Veronica (Charles) Backof, Maxine Johnston, Mary Ann Bourbon, Phillip Govero, and Paul Govero; one grandchild, Gabriel Love; and a great grandchild, Bentley Carlin. Dean was a member of St. Rose of Lima Church, De Soto, MO; Daughters of Isabella Circle #659; and the Columbia Ann’s . As an expression of sympathy memorials to the deGreeff Hospice House, 10024 Kennerly Rd, St. Louis, MO 63128.